10 PACK (4x LC-107XXL Black, 2x LC-105XXL Cyan, 2x LC-105XXL Magenta, 2x LC-105XXL Yellow) – (Est. Page Yield – 1200 Pages for each color) Brother LC105, LC107bk, Brother LC105 Ink, Brother LC107. YoYoInk is a top seller for Compatible Brother LC107 / LC105 XXL Printer Ink Cartridges. These printer ink cartridges are of the highest quality as YoYoInk strives for excellent customer satisfaction with all its products. The LC107 / LC105 XXL Printer Ink Cartridges come with a money back, customer satisfaction two year guarantee. 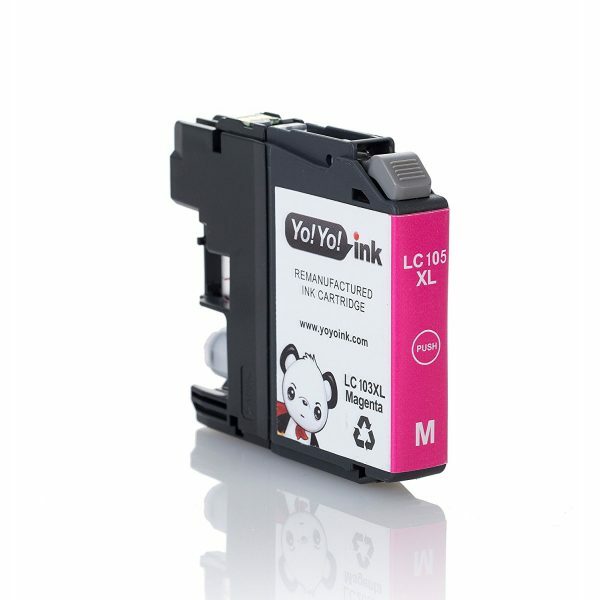 Brother LC105, LC107bk, Brother LC105 Ink, Brother LC107. I decided to try these – Brother High Yield Inks are expensive if you print a lot of color pictures. I have not had good luck in the past but decided to try these. I just installed the yellow yesterday and so far so good. Good color, did not splotch or run or smear. If I don’t have any problem with the other colors or the black I will come back and give this ink a higher rating next month. WHEN YOU FIRST open the cartridge package – be careful with the small paper tag across the top clip yellow clip – don’t yank it off – pull gently so you don’t break or snap off the top clip. If you do break the top clip off it will not snap into the printer slot correctly. I print 6-10 full color pages per week so I will know in short order how this ink is going to hold up. I have a Brother Wireless Business Smart All-In-One Printer and it is good to print some color pages periodically so it doesn’t clog up – it is one of the self cleaning printers so it will use some color ink on it’s own. I have been impressed with the color pages I have printed the last couple of days, they really looked sharp. The ink indicater on the printer screen does show that I put a new, full cartridge in the printer. That is very helpful. I did not get any warning messages about using a non-oem cartridge. I will be adding to this review after a time – I hope to be able to give this product a five star rating as the price and service was fantastic. UPDATE 10-27-2013 OK – this ink now gets a five star from me- I’m able to say the ink quality is very good. The stationary I’m printing and the color photos are crisp and smooth. The price is half of what I had been paying and the service has been excellent so far. It doesn’t matter how great the price is if the product is inferior or has been misrepresented in some manner. I will be buying this ink for sometime to come – I think I’ll stock up as a matter of fact. Quality ink. Fit my Brother MFC-J4510DW like a glove. Will repurchase when needed. If you’re looking for great ink as a replacement for your Brother MFC, don’t waste time going elsewhere. I will say that I love the price! And I have been happy with the output on black and color pages (I haven’t used these much on photo paper, but they seem to do alright when I have.) They don’t seem, however, to be 100% compatible with my printer, however. Generally speaking, it takes a couple of tries before the machine recognizes that a new cartridge has been installed–and since the plastic seal over the ink output is pierced by the machine as it is installed, this has me very concerned that the seal is compromised and ink is being spilled into the works OEM cartridges, as other reviewers have noted, are sealed by an orange lever-operated contraption, not the clear plastic seal. I have to wonder if, since the machine wasn’t really designed to pierce plastic seals, if it’s also being damaged by the installation process itself. I’ve also had issues with colors striping or not showing up at all, post-installation. Several cleaning and test-print cycles seem to resolve this problem, eventually, but it’s annoying and wasteful of ink, paper, and time. If only the OEM cartridges weren’t so terribly overpriced, I’d be going back to them for sure. For now, however, I just feel like I should be putting all the money I save by buying these things, and putting it into a piggy bank for a new printer, in case these are ruining it. Edited to add: were on our 3rd pack of cartridges. Still no complaints. Happy re-repeat customer who’s glad that these are still available! My family homeschools and I’m a coupon nut, so between worksheets, books, and coupons, we go through a LOT of ink. I saw how much they’re charging for name brand ink these days, and after regaining consciousness, I placed an order for these cartridges. I opened my magical Amazon box, and inside was a small cardboard carton containing individually and professionally plastic shrink-wrapped ink cartridges. I put them in my printer. They worked. As a matter of fact, we went through the whole box with absolutely no printing problems from the ink cartridges. They worked so well that we ordered them again. It’s ink. It’s in a cartridge. It’s cheap. It works. Good stuff. So far, so good… just replaced my color starter cartridges, which lasted quite a while (4 months. … I don’t print a lot, but do 12-15 CD labels a week). The label on the cartridges said they were LC-103 starter cartridges, not sure if they’re full or not. The printer (Brother MFC-J4510dw) not only recognized the new Yo-Yo cartridges right off and as an added bonus(?) registered the ink levels as well (not so with the old HP). Have been using only a few days, but feel like they’re going to work out. Very Happy! Update I ordered again largely because I had bought from you before and found your cartridges to be good. This time I found the yellow won’t work in my printer until I changed the chip. The others seemed fine, but I haven’t had to change the black yet. Not so very happy! Just used them today and they are just fine. Colors are good. Note that the plastic cover over the plug does not need to be pulled off, just insert the cartridge with it. (I thought I had to pull it off). Delivery was very fast. Will buy again. I want to add to my original review. We had a big color printing job the other day and were very pleased with the color and the quality of the ink. I had expected to have to replace the cartridges during the job, but they are still full of ink. Very pleased. Verified on both of these printers: MFC-J4510dw and MFC-J6920dw (both running the latest Brother firmware as of May 2015) Great product and the ink works wonderful for everyday printing and the photographs that we care to print. You can’t beat the value. There is no reason to spend 4x as much for the OEM product unless, possibly, if you are doing professional photographs. Only advice: if you need to remove a cartridge before it is finished, handle it carefully. The ink can leak out in large drops because I think it doesn’t have the same sophisticated type of air admittance valve as the OEM cartridge, which closes and seals in the ink when it is disengaged from the printer. However, as far as I can tell, this makes absolutely no difference to the printing; it is just something to note for handling. 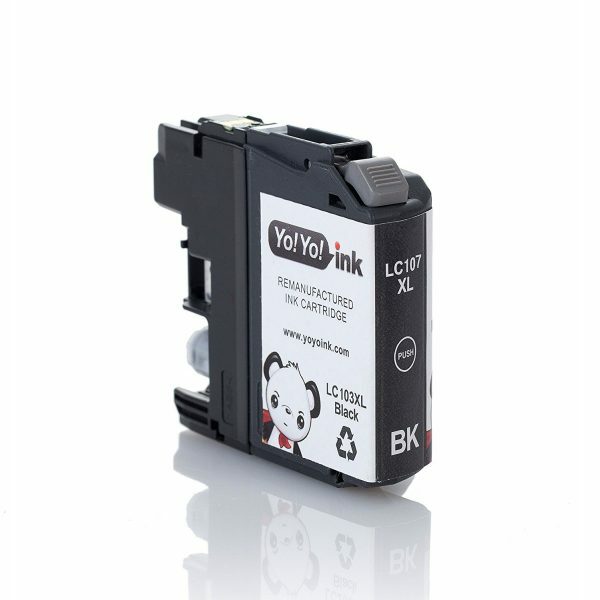 I was skeptical whether YoYoInk could deliver top-quality, compatible cartridges fro my Brother printer. I had been burned by aftermarket cartridges and refills before, but because of positive Amazon customer reviews, I decided to give it a shot. In short, these cartridges are so cheap and work so well, that any cost advantage laser might have over inkjet just disappears. The YoYoIink ink seems to work just as well as the Brother ink. 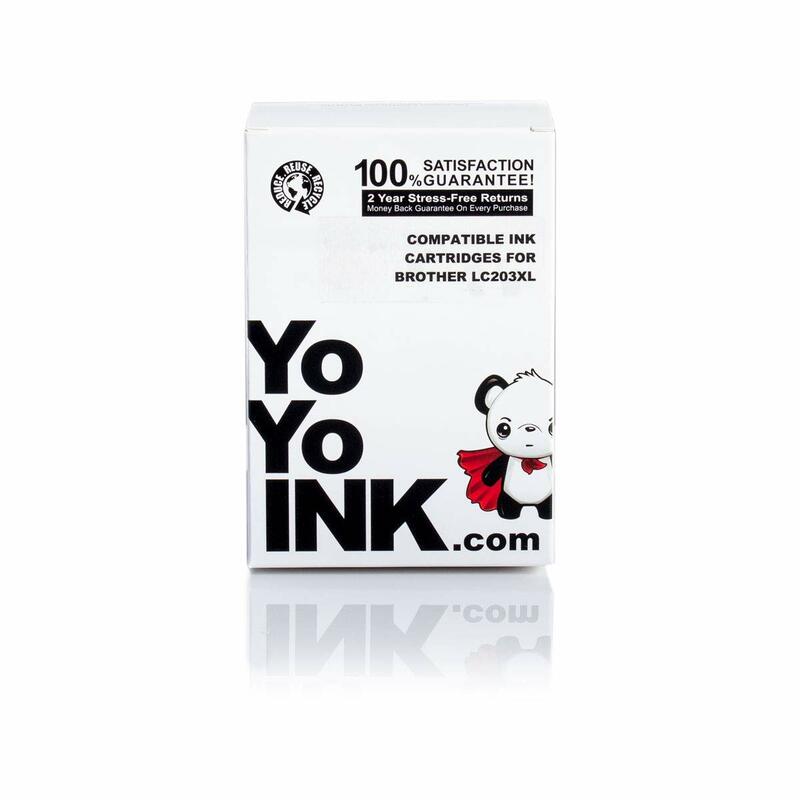 The Brother ink was already cheaper than the HP ink, and YoYoInk is much cheaper still. I liked the ink so much that I bought a second MFCJ4710DW (refurbished) printer to use at home because the ink was so much cheaper than the ink for the HP8500 that I already had there. The new Brother printers use a new ink cartridge, and I couldn’t find any YoYoInk equivalents. (Since then, I found out that YoYoInk makes 840XL cartridges for the HP-8500 line. I just bought my first set of cartridges for that printer. Usually HP screens out third party cartridges. 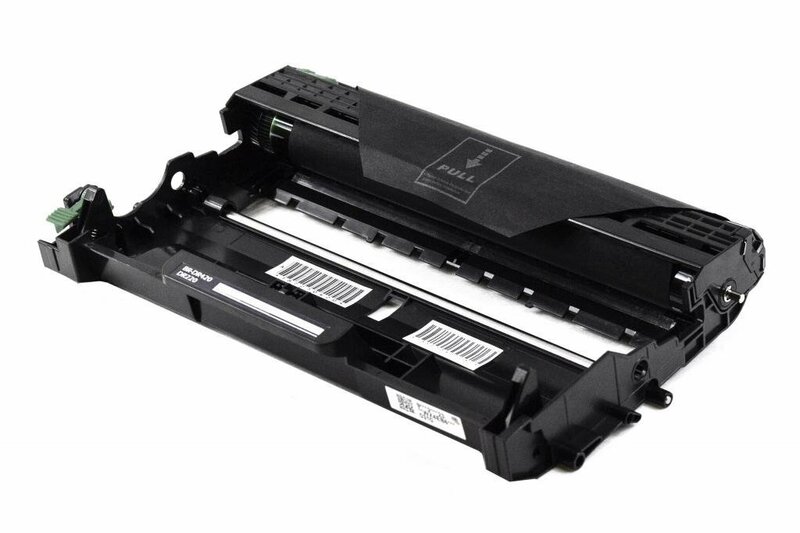 This time the 8500 recognized the third party cartridge and its ink level. I’ll formally review the 840XL YoYo cartridges when I have tested them more. As Prime Members for a number of years, my husband and I often shop on Amazon before we shop at local stores. We tend to look for PRIME products because it is one of the benefits we pay for each year when our membership is renewed. We needed ink cartridges for my husband’s printer, but they run high straight from the company or local store. It was decided we would do a search on Amazon for a generic brand and see what we could find which is actually how we find a lot of our products. Then we give the products a try if we find something suitable. 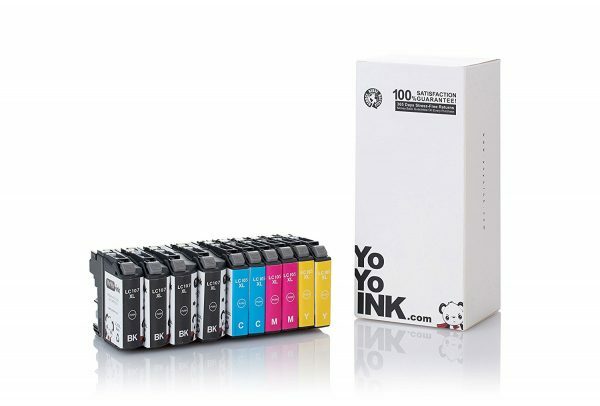 Thus began our search for printer ink to fit his printer and we came across this pack of 10 cartridges which included: 4 Black, 2 Cyan, 2 Magenta and 2 Yellow. It was a very good deal. We did read reviews prior to choosing this particular brand. They were varied. Ultimately the reviews help us, but we make the decision because the truth is people think differently about products. Sometimes you have folks really say bad stuff about a product that is good and vice-a-versa. Anyway, we bought this pack of 10 and it turns out it has worked great for his printer. The ink works just as good as the original ink. There hasn’t been an issue with ink leakage or smearing. It has worked very well. When these run out we will no doubt come right back to this Seller and purchase again. One other thing good about this pack of 10 is that you get 4 Black Cartridges which is the predominant color used and we also liked that about it. The color cartridges installed in my Brother MFC-J4410DW with no trouble and my test pages looked fine. I was very pleased that the printer recognized these new cartridges and set its ink display to full. That hasn’t been the case for me with refilled cartridges. These Yo!Yo! cartridges came professionally packaged with clear instructions printed on the back of the box. Nice touch was a “Thank You” card with customer service phone and email. Overall I think this is a good deal: lots of ink for the money, and a company that’s putting some effort into their product. The color inks are fantastic. 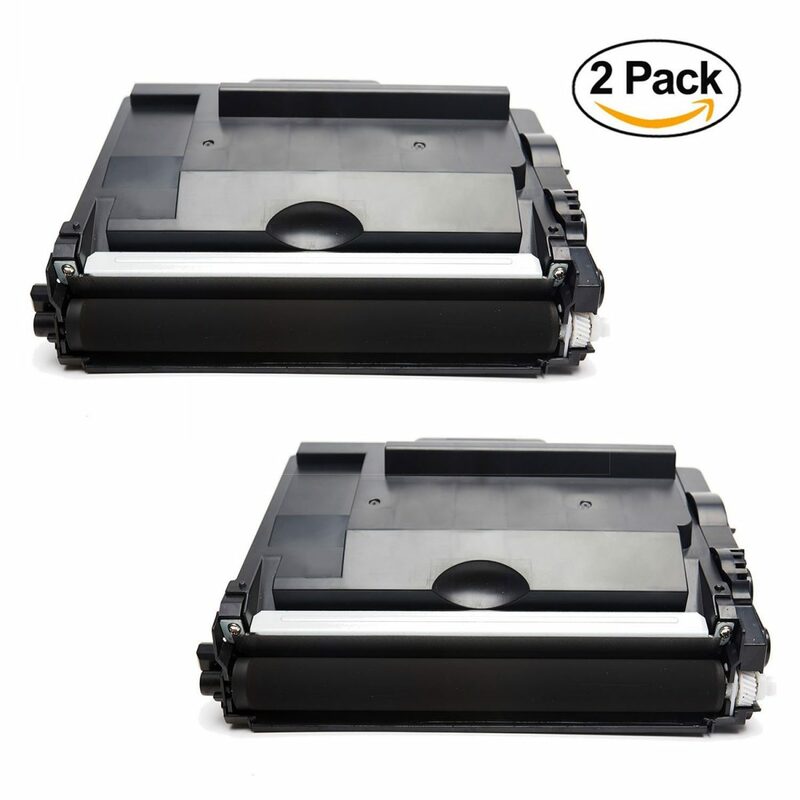 The black inks, however, DO NOT WORK on the Brother MFC-J6920DW Printer. It fits in the slot and clicks into place, but the machine DOES NOT identify the cartridge. It is also not very large, and I doubt its claims of being double capacity, but I will never know, will I? Because I bought FOUR cartridges which DO NOT FIT MY MACHINE! These are awesome cartridges! I’ve been so happy with them, I’ve reordered more than once. I have a Brother printer on my desk at work, and it see lots of use. I got tired of paying the Brother tax, so ordered these, and have been saving tons of cash ever since. I’ve never had the print heads dry out on this printer, with these inks. The colors match well with the originals, they don’t clog, and I’ve never had one “not recognized”, which has been a problem in the past (mostly on Epson printers) with other 3rd party suppliers of ink cartridges. 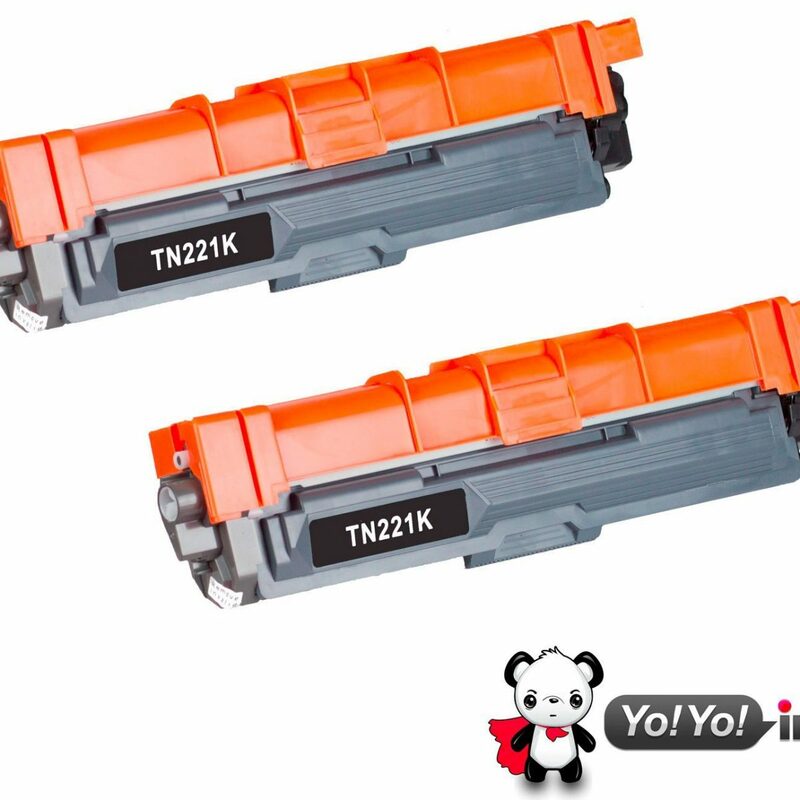 If your ink cartridges are hard to find at the local office supply store, or you’re tired of paying the premium price for manufacturer-branded cartridges that aren’t fundamentally different from the 3rd party ones, these cartridges are a no-brainer. Bought my first set in 2014, this will be my 2nd set as I’ve loaded the last color cartridge. Overall its good ink, printer has no issues recognizing them. Print quality is alright – it gets the job done. When compared to my office laser printer, the colors are kinda muted.